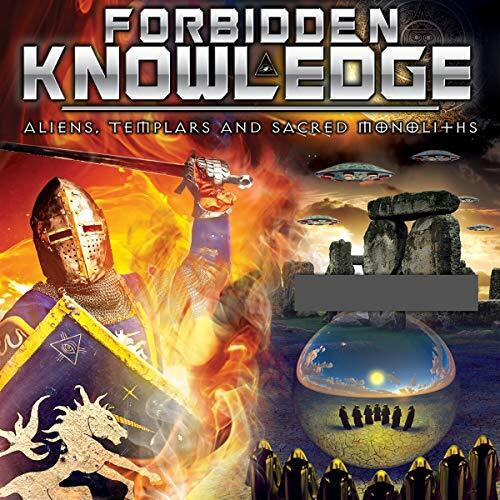 Forbidden Knowledge: Aliens, Templars and Sacred Monoliths: Throughout millennia, the ruling elite have obtained and hidden from the masses the vast ancient knowledge and technology given to man by the gods. While forcing the populace to obey and believe a repressive doctrine, they themselves pursue an agenda of total dominion upon the planet for reasons beyond that of conquest and the material, but for sinister motives that affect all of mankind. Secret of the Holy Grail: The Holy Grail has been linked to the mysterious family known as the Merovingians who are said to be a dynasty of priest-kings with magical powers. Some experts think that the Merovingians were descended from an ancient race of fallen angels that spanned the globe, taking wisdom and knowledge with them as Atlantis sank. But these Merovingians also held a dark secret and the true ruling power on Earth. Ancient Alien Origins: The true gods gave rise to the great powers of Egypt, Mesopotamia, and more. They spread outwards around the world and were the genesis of a very real holy bloodline that remains with us today. They were also known as "the watchers," those who came to Earth as beings of light to teach and guide mankind. The aliens left Earth millennia ago but the signs are growing daily that the prophecy of their return is imminent. Secret Societies and Sacred Stones: From the origin of ritualized worship in Sumeria and Egypt, to secret societies such as the Knights Templar and the Illuminati, ancient stones and objects have been idolized and used in secret ceremonies unknown to the outside world; used to hold power over the souls of others; and have even been fashioned into beautiful gems and artifacts; and yet, they remain a mystery. I like a good conspiracy theory probably more than the next person, but this is hard to listen to, hard to follow, and at times annoying, and I have never given any audio book such a low review but this one deserves it. A sound track plays through the first several chapters and at times almost overrides the narrator whom appears to be trying out for the voice on a disaster movie trailer. The last part of the book is several people speaking at a conference and it is most difficult to make out what they are saying. I would not recommend this book to anyone.